We provide affordable, agency-grade creative services to small and midsized businesses. Whether you’re just starting out or nearing the finish line, our specialized team of creative professionals go the extra mile to make the difference. From conducting initial market research to defining your core values, purpose, and objectives, we connect the dots to create an identity and design that reflects the essence of your brand. From effective SEO-driven messaging to smart ROI analyses, our integrated, multi-channel approach excels in creating high-quality content that makes your SMB stand out. From creating original logos and product designs to producing high-quality audio and video content, we want your brand to feel intuitive and representative so it resonates with your audience. 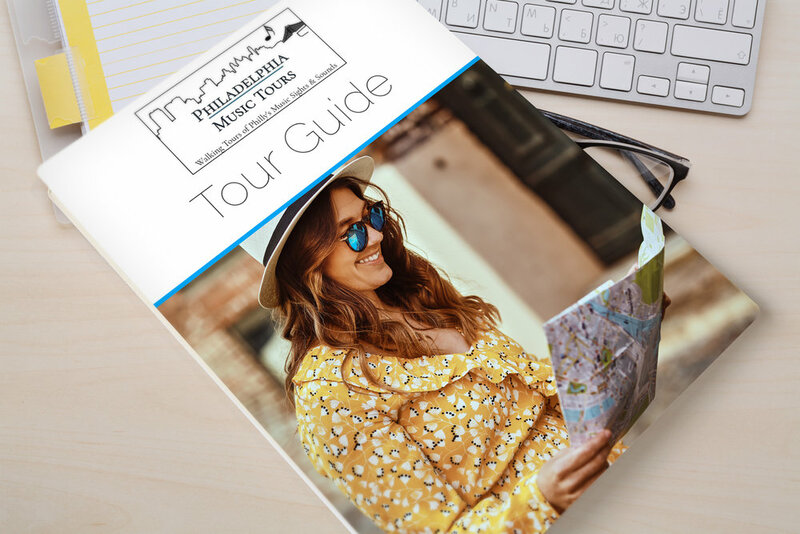 AUD COG Productions provided full website design services, generated all digital advertising content, integrated multiple smart analytical tools, and created a walking tour guidebook which included a detailed history of each location to curate a personalized experience during the tour. 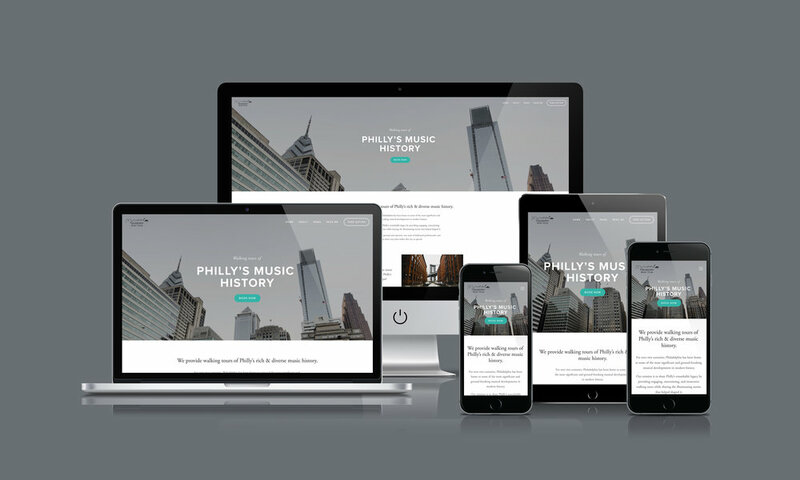 Our work helped Philadelphia Music Tours continue to share Philly’s remarkable musical legacy and look good in the process. By the way, if you happen to be near Philadelphia and like music history + walking tours…we highly recommend you schedule a visit. AUD COG Productions provided full website design services, photography and post-production services, and produced immersive 360° video with ambisonics spatial audio (complete with color correction, maximized rendering, and spatial audio compression). Check out AR | VR Audio’s website or YouTube channel to see more cool videos we produced featuring this emerging medium/technology. AUD COG Productions provided full website design services, created multiple customized graphics and logo mockups, and guided Replay Music Lessons’s brand from a simple music lessons provider to a multi-faceted, personalized experience. This included adding an audio & video playback component to Replay’s services and a personal web-site package for each student where family and friends could login and monitor their loved one’s progress, leave comments, and experience + share memories that’ll last a lifetime. AUD COG Productions provided full website design, full brand services (complete with customized logo), all content marketing, and produced the first season using our high-quality recording, mixing, and mastering services with a how-to-guide until they felt comfortable following our process and using the equipment. 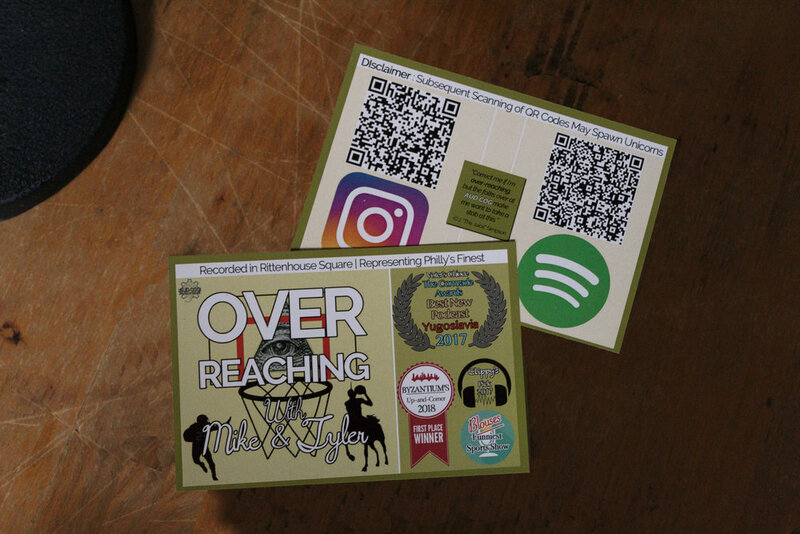 Our work allowed "Over Reaching with Mike & Tyler" to attract thousands of listeners, engage their audience (3000+), develop a structure with brand consistency, and achieve a professional end result. AUD COG Productions also did all of the above for the music discovery podcast, “On the Margins”, the broadcasting comedy “Eavesdropping On Men”, the political satire program “Alternative History”, and the sketch comedy program “It Is What It Is” (archived but available upon request). To learn more about each individual program, either click on/hover over the image. "On The Margins" was a weekly music-discovery podcast of short-form interviews with songwriters whom build a singular world of their own to express themselves. Select moments from each artist's catalog was featured between conversation. The program lasted 24 episodes and amused a small but loyal following. "Eavesdropping On Men" was a satirical podcast of field recordings from a fictional pair of anthropologists, whose research documented the sounds and thoughts of all kinds of men. Alternative History was a weekly opinion podcast from “acclaimed American Intellectual, and controversial documentarian”, Eagle Simkins. Eagle, along with his flock of researchers and thought-warriors alike, birthed truth out of the ashes of American history. (If you happen to like Alex Jones parodies, this is for you). "It Is What It Is” was a sketch comedy podcast of surrealist humor that moved along various worlds. commercials, and topics. Featuring a select cast of characters and wide-ranging themes, each episode celebrated life's inherent absurdity. One of our professionals will get in touch shortly using your preferred method of contact. From there, you can tell us about your SMB and/or project, get to know us, ask questions, and quickly get a price quote + completion date. © 2019 AUD COG Productions. All rights reserved.